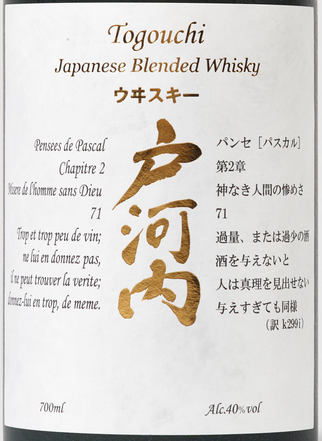 The Togouchi isn't a strictly Japanese whisky. From my understanding Chugoku-Jozo imports Scottish malt and Canadian grain and blends and ages them in Japan. Anyways let's try this 40% vol. no ages statement blend. Comment: This is fairly pleasing with some complexity shimmering trough the overall light bodied whisky.